I like this quote – a lot. And now because I copied it, I’m typing in pink. Oh, well. Pink is good too. (updated: removed the pink after an someone complained he couldn’t read it.) Anyway, forget what is absurd. Forget what is considered acceptable by society and/or your family and/or your friends. Do it anyway. Because the outcome may surprise you. You may achieve what you have only dreamed of achieving. Toss off the ropes of what are holding you back – and do it. 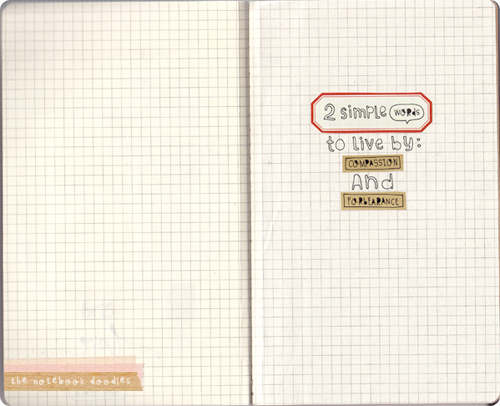 The rest of this post gets its images from a neat site called The Notebook Doodles. The woman does all of these by hand – no fonts other than the one leaving her own hand and pen. The collages are all of her own. Neat site. Neat words and messages. If you are always genuine, people will be more willing to accept you for you who you are. I have had people over the years tell me they are more willing to accept what I have to say because they know I am not someone who has a hidden motive. I have no agenda. I will be genuine with them. I love the word compassion. Sure I could look at a situation and think “they deserved it because of their decisions”. But I don’t walk in those shoes or live in that life. Pain is pain. Suffering is suffering. Regardless of how they got there. Compassion is needed. Compassion is not freely given these days. Practice compassion. And tolerance. Tolerance is key these days. I may not understand or agree with someone’s choices or opinions and all, but it is there own. It’s not for me to change their mind or give my opinion (unless asked). I mean, I wouldn’t want unsolicited opinions about my life. Tolerance isn’t acceptance of the idea – it simply is acknowledging there are other ideas out there – even ones you don’t agree with. Not everyone learns from life’s lessons. Make sure you are not one of them. Some lessons are not clear. Some are simply about appreciating what you have – people and otherwise. Some of it is a lesson in what you won’t do next time. 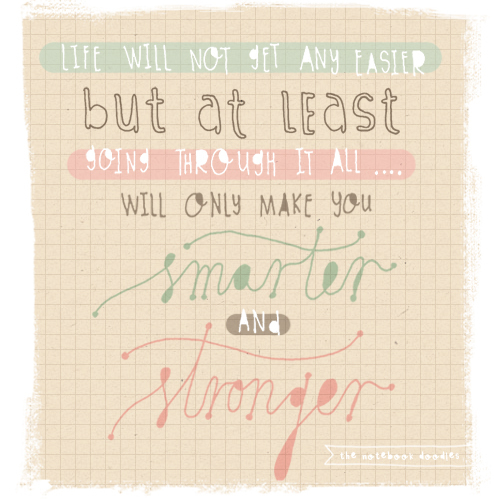 Use them – let them make you smarter and stronger. 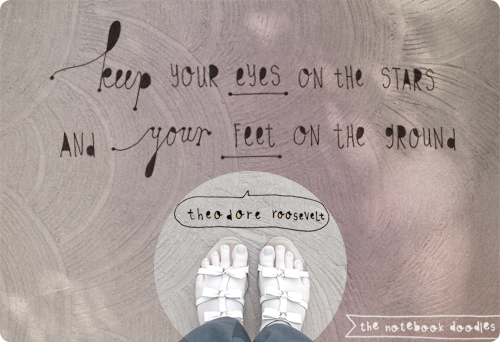 I recall reading once a story about a person who always looked at her feet while walking. She was always focused on where she was at that moment that she forgot to look where she was going. I read it when at a point in high school where I felt like all I had was where I was at. I recall wondering how things would change if I started looking more at the horizon as I went. Funny thing happened – I started noticing things more. I started being more active in deciding where my feet were going instead of lamenting where I landed after the fact. Keep grounded in where you are, but look up. Aim for bigger things – better things. Hard when things are hard. But important if you want to get through or past where you are right now. This one reminded me of the whole “it’s always in the last place you look” phrase. I remember arguing with my dad at like 11 yrs old because I didn’t believe that it was always true. It could be the first place you look. Or, what if you didn’t realize you found it, continued to look, then it wasn’t the last place but someplace in the middle. Then I realized how right it was. It will always be in that last place. 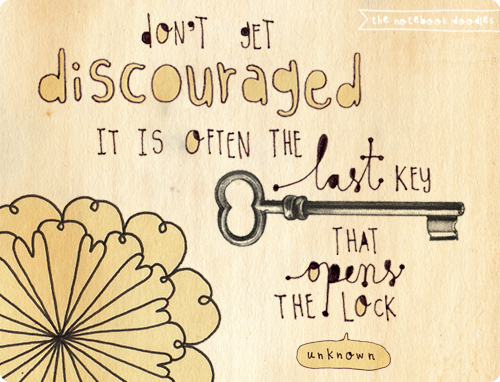 Kind of like this saying – the last key is the one that opens the lock. Most often. Knowing that doesn’t solve the annoyance you feel, but should help you feel less discouraged. Next Post Photos! Two Days in a Row! I am a fan…Love ’em!